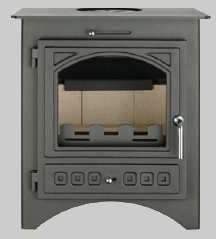 The Bohemia family consists of a 3KW, 4KW, 5KW and 6KW models designed to create a stylish and functional stove for your home. 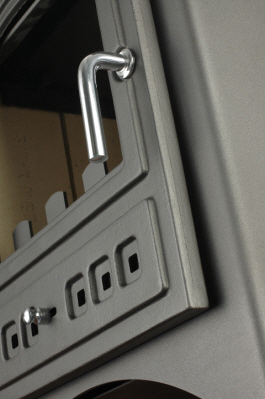 Choose between plain, decorative cast iron options offering a choice of nine models. 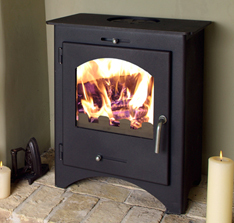 Each is exactly styled on its larger or smaller brother so whatever your fireplace size there will be a Bohemia stove to suit you. 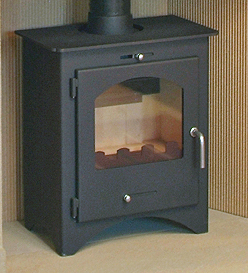 Launched in November 2007 is the traditionally styled Bohemia stove fitted with a cast iron door. 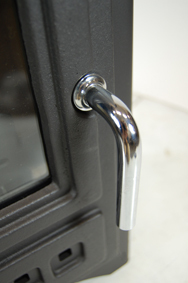 The new door embraces many decorative features with raised subtle mouldings and patterns giving the stove a real sense of nostalgia and a traditionalist feel. 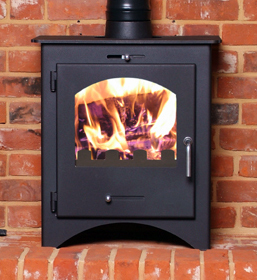 The new cast iron door maintains the same impressive view of the fire through the large window whilst the stove continues to offer excellent performance through its clean burning and precise control. 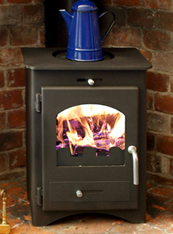 Available on the Bohemia 40 (4KW); 50 (5KW) and 60 (6KW), the new traditionally styled Bohemia will offer everything the traditionalist customer demands. Chrome door handle and slider knobs give the stove the finishing touch with a hardwood wooden handle available as an optional extra.